This Schedule of fees applies to veterinary locum vacancies in Australia, listed under our "No Placement No Fee" service. Schedule of fees payable to the Agents by the Principal upon a successful introduction of a Veterinarian ie. commencement of employment of a Veterinarian introduced by the Agents. Additional consecutive weeks over 4 weeks are charged at $225.00 +GST per week or part thereof up to a maximum total payment of $2,700.00 +GST. The above charges apply for a single period of continuous employment. Refer to Clause 3 of the Service Agreement regarding any further engagement. These fees apply to permanent full or part time veterinary vacancies in Australia. NB: Vacancies are continuously promoted until the clinic/employer or agent placing the job listing asks us to stop, either by email or phone. These fees apply to vacancies for vet nurses, groomers, practice managers, kennel hands, receptionists and other support staff, in Australia. The fee for Veterinary Clinics is $99.00 incl GST per advert for up to 2 months continuous advertising. The fee for advertisers who are not Veterinary Clinics, but who wish to place an advert for this type of veterinary staff is $220.00 incl GST per 4 weeks (minimum fee). Additional continuous weeks $55.00 incl GST per week. 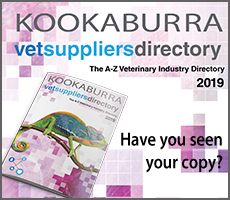 These fees apply to adverts for Veterinary Practices for Sale or Lease in Australia. Advertisements from clinics are $165.00 inc GST for up to 2 months continuous advertising. The fee for advertisers who are not Veterinary Clinics, (eg. agents) is $220.00 incl GST per 4 weeks.